Your headshot is your brand. Be relevant, stand out and get auditions with an acting headshot by Aimee Spinks. My actor headshots have a proven track record of getting actors auditions and over the years I have taken portraits of actors including Samuel L. Jackson, Jodie Comer, Oscar winner Eddie Redmayne and many more. 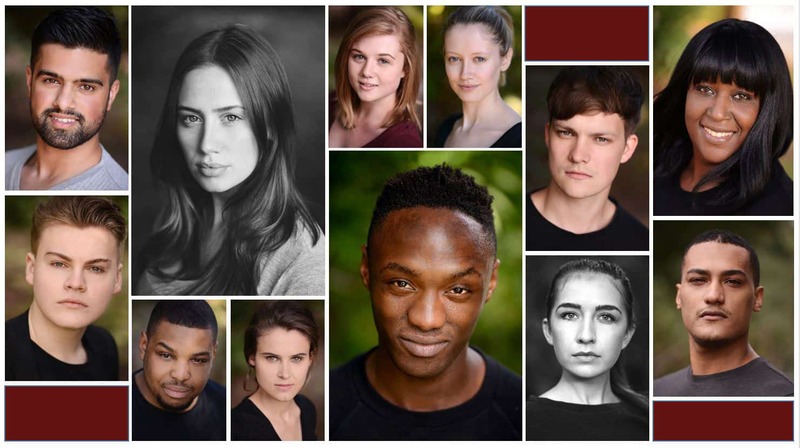 I come highly recommended by agents across the country as well as drama schools including Royal Conservatoire Birmingham. For full information on my actor headshot photography sessions, just scroll down! An hour of photography plus 10 retouched images. An hour of photography plus 6 retouched images. An hour of photography plus 3 retouched images. I shoot my actor headshots in Birmingham. Sessions are held outdoors at Cannon Hill Park which is easy to reach from the motorway, Birmingham city centre and has plenty of local bus links as well as free parking on site. There's a lovely cafe inside at the Midlands Arts Centre where we can sit and look through your images. There are also facilities there in which you can change so you don't have to dive behind the bushes! Why do you need a photographer who specialises in acting headshots? Actor headshot photography is a very particular specialism: it requires a very specific approach with a solid understanding of industry expectations. Your actor headshots are a marketing investment to help you get the work you want, and both casting directors and Spotlight have very strict expectations that must be adhered to. This is where makeover/portrait studios and general photographers fall down. Yes, it may be cheaper but it will be a complete waste of money if you are left with images that don’t tick the boxes of industry professionals. By booking your actor headshot photos with me, you are getting more than just a photoshoot: you are getting over 7 years of experience working with a plethora of actors, each with different casting types, experience and abilities that require a unique approach. You are getting the knowledge of someone who can tell you the current trends in actor headshot photography and what casting directors and Spotlight are looking for. I can advise you on what to wear and how to prepare for your session as well provide direction and physicality coaching for those unsure what to do in front of a photographer. On top of this, I have access to a range of locations including a fully equipped studio, as well as options for indoor and outdoor natural light looks for a variety of opportunities.